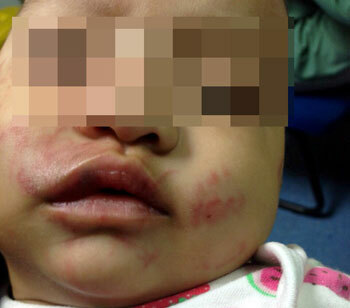 KUALA LUMPUR: The National Council of Women’s Organisations (NCWO) executive councillor Datuk Faridah Khalid yesterday said that the incident in which a baby girl was bitten and scratched at a nursery in Pandan Indah on Thursday, could have been avoided if the nursery paid more attention to child safety. She said if the incident was due to negligence of the babysitter, it might have been prompted by several factors, including the small number of babysitters as compared to the number of infants and children at the nursery. Faridah said this in response to the injuries sustained by the five-month-old Nur Ameena Nabila Ahmad who, according to her babysitter, was bitten and scratched by other children at the nursery. “There is a high possibility that the babysitters at the nursery were not paying attention and had neglected the safety aspect for infants and children under their care. “The relevant ministry and its agencies must investigate whether or not the nursery was registered with the Social Welfare Department, and whether the operator had undergone basic childcare course,” she said. Meanwhile, Malaysian Crime Prevention Foundation (MCPF) chairman Tan Sri Lee Lam Thye said there was no use for the government to formulate numerous laws if no strict monitoring and enforcement were carried out to ensure the safety of infants and children. Lee, who is also National Social Council member, said parents should also play their roles to ensure that their children were sent only to a registered nursery.